Jay Gruden is an interesting head coaching candidate, and should get plenty of interviews this off-season. 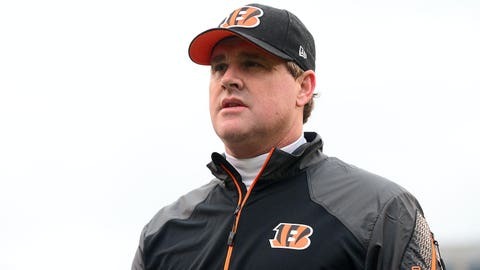 CBSSports.com’s Jason La Canfora is reporting the Redskins are interested in interviewing Bengals offensive coordinator Jay Gruden. The Redskins general manager Bruce Allen worked with Jay’s older brother, Jon, and so the interest in Jay isn’t surprising. After the success the Bengals have had on offense this season, Gruden is expected to get plenty of looks from around the league. La Canfora also reports Washington, Detroit, and Cleveland are expected to talk to Gruden about their head coach openings. Gruden said earlier this week he is focused on coaching the Bengals right now and if that costs him an opportunity, it costs him an opportunity.